SafeGuard Glass and Glazing, one of the UK’s leading sealed unit manufacturers has been working with Inagas, the fenestration industry’s leading supplier of gas filling and testing solutions, for more than 15 years to help maintain its excellent reputation for quality, consistency and reliability. Nick Welsh, Managing Director of SafeGuard explains: “We have been an Inagas customer for over 15 years and have remained faithful to them due to the fact they can always meet our expectations when it comes to our offline gas filling and testing requirements. Our first purchase form them was an IGA 10, which at the time provided us with a solution for single line Argon filling. Through the years equipment has developed and we have upgraded to faster and dual fill solutions to better fit with our manufacturing demands. As well as gas filling, we also invested in a Sparklike handheld testing device a number of years ago, as quality and compliance are driving factors for us. 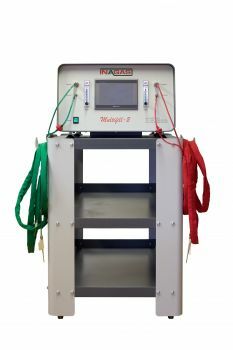 Our most recent purchase of a Mulitfill-2 gives us the capability to fill using both Argon and Krypton gases simultaneously if required, both lines with variable flow control, with reliable accuracy at a fast fill rate.